RESPECT. 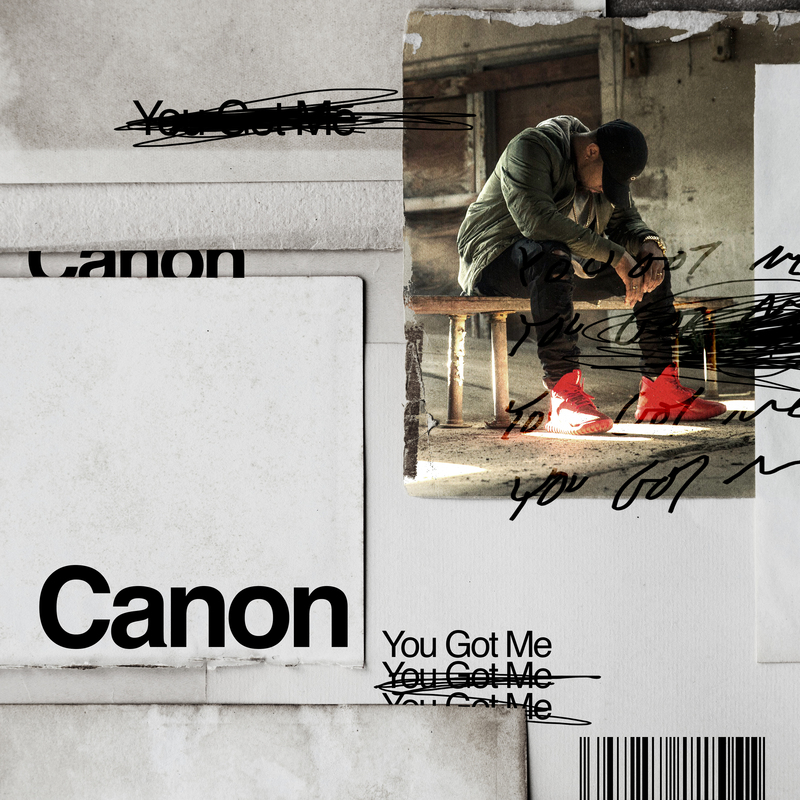 Premiere: Canon Shares Industry Knowledge on "You Got Me" [WATCH] | RESPECT. As artists try to figure out the best way to navigate the industry, RMG’s very own, Canon is speaking up so artists don’t get left in the dust. Coming off the release of his album, Home, Canon has just dropped the visual for his track, “You Got Me” which speaks to the ups and downs of the music industry. Canon touches on the dangers of not staying alert and paying attention to who you bring into your circle. Though his experiences have been different, Canon has seen what the industry has done to others and through his music, he hopes to help other artists avoid those tough times. Watch the visual for “You Got Me” below and make sure to listen to Home! Check out our interview with Canon below and stay tuned for more to come! RESPECT. : Tell us about the meaning behind “You Got Me” and how the concept came along? “You Got Me” was aimed towards the culture and the industry. The industry is always looking for who they can expose or exploit next in order to make another dollar for another day. Or in the industries case, thousands of dollars for another day off of your talents and work ethic. “Fool me once, shame on you. Fool me twice then shame on me.” There are so many ins and outs to finding success in the industry but there’s a lot of realities people may not tell you until it’s too late. Thank God I’m not that victim. You’ll soon find how contracts work, the integrity and lack thereof from others in the business, the continual fight for relevance, the art in playing the numbers game, how many streams of income you need to remain successful, touring, marketing an album etc. In my little 19 year old mind, 10 years ago I would have thought, “Oh you just make music in the studio and get paid.” In a sense yes but entirely, no. You have to continue finding outlets for yourself. Not everyone here is for you and not everyone currently here will always be there when your not popping. It’s every man and label for his or herself and you have to keep that in mind. Otherwise you will most definitely give so much in hopes it being reciprocated just to find out you’ve been doing people favors for years and have gotten nothing in return. So…yeah you got me at first but I grew up quick thanks my label and team. RESPECT. : What do you want listeners/viewers to get from this song? I want listeners to think for themselves and watch very carefully the people that are in their lives. Either they will bring you up or bring you down. This industry, this world period, is not innocent. Watch closely the people you invite into your career, home and close relationships. RESPECT. : Tell us a little bit about ‘Home’ and how the idea of the album came about. I wanted people to be proud of what Home is for them. We live in a very compare and contrast society where clout is the new drug in our generation. And many are slowly overdosing. You can’t appreciate what you have if you continue looking left and right at what the next man has. Every home should reflect culture, history, morals, ethics, irreplaceable relationships, brokenness, vulnerability, emotion, confidence, pride etc. these in which are beautiful. If Home is where the heart is then our hearts should be reflecting this rather then comparing from what others do or do not have that ends in materialism. In my opinion, we hold on to material so much because we lose sight and appreciation for things that are timeless and could never depreciate in value. The very things that here in our very homes today. RESPECT. : Do you plan on taking ‘Home’ on the road? We are planning a Home tour for my Day 1 fans. I pray this draws us closer as I share my life, history and culture with them on the road. RESPECT. : Overall what is your message to fans? Neither one of us is perfect. We are only able to strive for such a thing but will never achieve it in our own wisdom and strength. Just simply focus on loving and serving God and others while challenging yourself to become a better person each day. We don’t need a false perception of you no matter what sells in the media. We need the best you, the honest you, the loving you, the understanding you. The inspiration to many, the friend to some and family to others. We need you, the best you because it’s through you we will make this world a better place. Live and die by your convictions. I’d rather die knowing what I stood for than live not knowing who I am or am becoming.